Battery powering a Mini ITX Gaming Desktop? 1) I just wanted to say thank you so much to all of the guys on this answers section, for giving a lot of their time whilst being incredibly helpful, patient and overall just awesome! Just to name a few of the most consistently helpful; steveastrouk, Kiteman, iceng and Downunder35m. 2) I know this question has been asked before and asking it again has been my last resort after trawling the web as I know reviving old topics can irritate the OP etc.. But anyway: I am building another PC, with the challenge of it being a portable 'console killer'. The idea is to make a Mini ITX gaming PC as small as possible (a challenge in itself) which can run for an hour or two on battery and then needing to be plugged in and recharged whilst still being usable. So I was thinking; all a PSU is is an AC adapter and step down transformer. So all I would need is several laptop batteries (and a way of charging them seperately) , a way of mounting them, a voltage regulator and wiring to power the computer and bypass the battery AND charge it when I am using a laptop external PSU. Right? But then, is the high current from a wall socket necessary to a PC's function? You main problem with battery power is the size and capacity. Without knowing the rough power consumption it is hard to tell if it would work and for how long. You can already get 12V supplies for car-PC systems that regulate all you need quite well from about 14V to 11V input. Hi, thanks, I replied to steveastrouk about how much power is needed, that Car-PC system is brilliant, thanks! It outputs 200W which is perfect! And inputs 8-28V! *cough mini 9V battery (joking). Now all i would need is a good laptop battery and connector that is as small as I can make it. 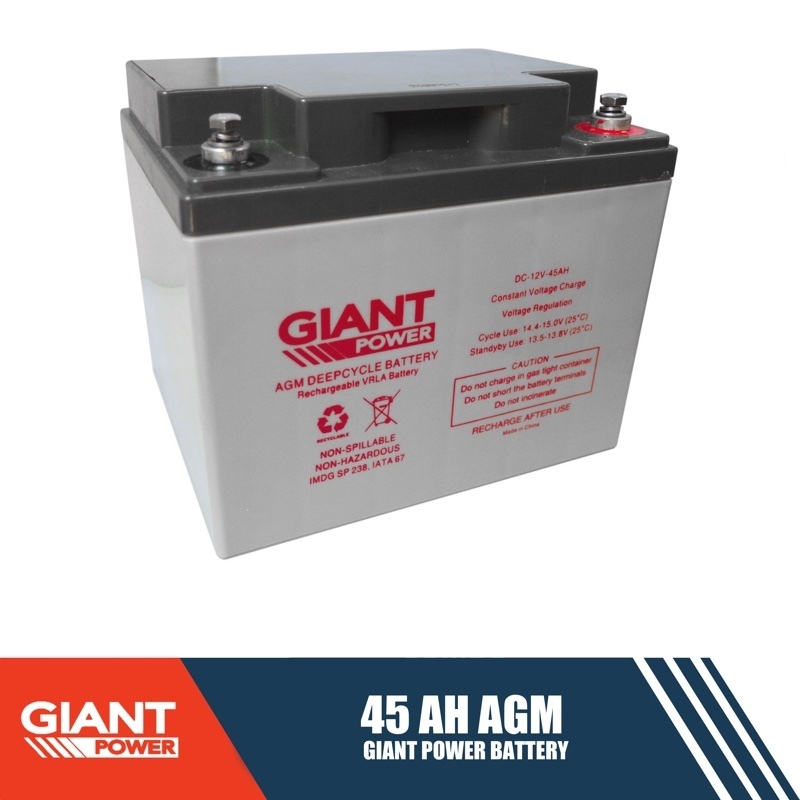 If you already know how much amp is required during normal operation you can simply calculate the battery size. Keep in mind that with 155W @ 12V you are already looking at over 13A - considering the losses. So to run it for let's say 3 hours you need 13A times 3 = 39 or to make it even 40AH as the battery size. Means you are better looking at a decent sized "deep cycle" battery with 45AH. Deep cycle means they are more suited for contious drain down to a lower level than normal starter batteries. @Downunder35m, why do the wires need to be short? And what would be the max recommended length? £18 for 18 minutes... argh. And that's not even a 'deep cycle' battery. I need about 3 relatively small and cheap batteries capable of 45AH together then. Not at all hard to find. Haha, I am going to go and scour the web for a while, I'll get back to you when I find something! I found that... It looks absolutely perfect.. if not a little too perfect. 20Ah.. Think it's legitimate? If so I may pick up 2! Are you still working or developing your project?? Now days we got latte panda alpha which 5v running @ 2.6ghz max(overclock is possible) and expgdc for gpu which need only 12v 18amp. you can make curcuit your self to reduce the size and weight of adapter and not even need 18amp (around15) if the gpu no overclock. for the monitor part you need to design the curcuit for hdmi switch between cpu graphich output to gpu graphic output and display can use portable one powerby usb 5V only. So as i calculated my self i can make the size of laptop but pretty powerful. something else but i don't remember and not yet find it. You can run Win 10 on a raspberry pi. The latest is quite fast - fast enough - I don't know because your end goal depends on what you want to run but i see on the web some people are running some games on this config. solves all the power issues. No, you don't understand fully, 'LOT' Windows 10 is not "really" windows 10. Quote hackaday: "Earlier this week, Microsoft announced the first public release of Windows 10 IoT Core. This is the review, but here’s the takeaway: run. Run as fast as you can away from Windows IoT. It’s not worth your time unless you have a burning desire to write apps for Windows, and even then you could do a better job with less effort with any Linux distro." It's not a conventional OS; it's a terminal with no main GUI that lets you monitor informational statistics liike digital signage, POS terminals and ATM's. Trust me; I've tried it and it is horrible. As for the array, hardly portable, having to run many power supplies or using just one, which can be dangerous (parallel = fire hazard) and very limited if a portable one. Overclocking without even a heatsink is never a good idea, and liquid cooling would need to be custom and a pain. Unless you went with just fans, but I don't particularly favor listening to the sound of a jet intake when using my PC. As I said previously the games running are ARM made, which are extremely limited in number slow and buggy. The array may change the power and speed, but completely ruins portability and compatibility. However, I could use a pico PC like the Pi but one that uses a non intel processor (but rubbish portability, power and expansion options) . Although, I have now got a solution to this topic (I think) which means my aforementioned mini ITX will be perfectly fine. Thanks. Erm. Sorry. That's not what I am looking for at all. I own several raspberry pi's including the new 0. Firstly RPi uses an ARM processor stopping me from running windows, any good linux distro with a nice gui and therefore almost no games bar 'cut the rope' and python minesweeper. Hardly a console killer. Furthermore even if it did have a non ARM the sheer lack of processing power and inbuilt graphics card render it useless for any thing other than surfing the web or developing python programs. Being incompatible with (almost) all standard software and speeds comparable with a Celeron are not exactly at the same level as an i5 or i7 machine with a dedicated graphics card and water cooling. Lastly the whole reason I asked the question was about the battery powering of an almost high end desktop PC, not a pico single board ARM computer, which in the linked instructable was not even battery powered, which is easily done with a phone battery pack. Although your answer was unrelated, I do appreciate that you attempted to help me, so thank you for that. (Also as a side note, the disadvantage of using the internet to speak to people is that without hearing and seeing your actual tone and expression it can sound like they are being rude or angry when they are actually not; sorry if this message came across in that way). You will probably need to choose the PC parts with their efficacy in-mind. PC parts are generally not built with energy conservation in-mind, so you will want to pick your parts that are well known for sipping power. Like a laptop-grade i7 for instance. You may also need to use a laptop motherboard that has built in high-end graphics chipset. Powering that from a battery would probably be a lot easier. RC LiPo batteries have a good mix of both energy density and power density, which means they can store a lot of energy, and deliver lots of power. You probably want 6S packs and that switching converter mentioned below. First question, in fact, the only question : "How much power will the system consume"
So effectively I need around 155W of power. I am not sure about voltage, as power supplies give out many different pins at different voltages, like 5v and 12v, but since I am using a mini itx motherboard, I don't know which pin needs what.